When I bumped into my friend Nigel Robinson at the Smart House on Ditchling Road during last year’s Eco Open Houses, I had no idea that many of the features that were being showcased during the event would turn up in his new home six months later. 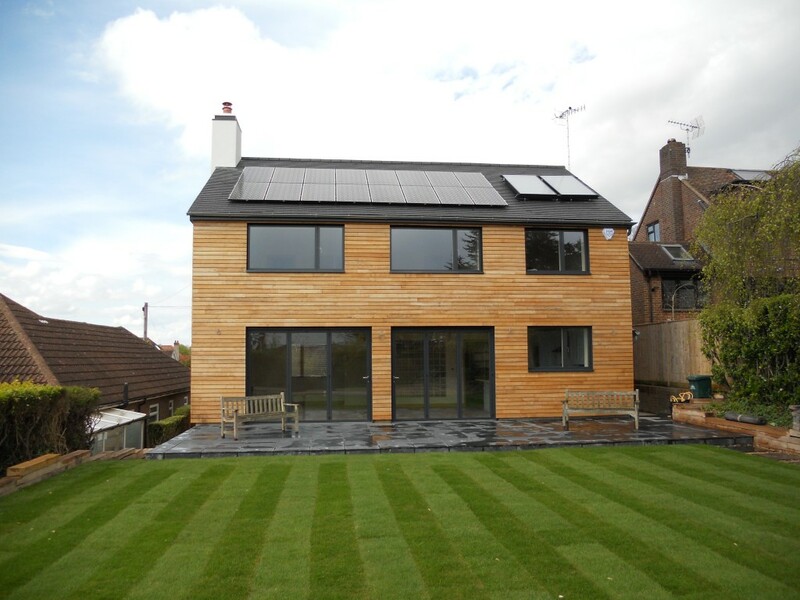 Nigel’s passion for eco building may well have been inherited from his mother who told the architects exactly what she wanted when the family home was constructed at 40 Varndean Gardens. It was completed in 1958 and featured a south-facing rear garden with large windows at the back and small windows at the front. Nigel can recall it being built and has the photos of him on site to prove it. Walking up Varndean Gardens to see Nigel and his wife Sally was a treat in itself as various trees were in full blossom at the time. No. 40 has been given a radical overhaul by Nigel and Sally with the help of BBM, a Lewes-based firm of sustainable architects, to update its eco credentials and create extra space and a new layout. The main structural change to the house is the addition of a large bedroom with en-suite bathroom above the garage, which actually protrudes from the front of the house. 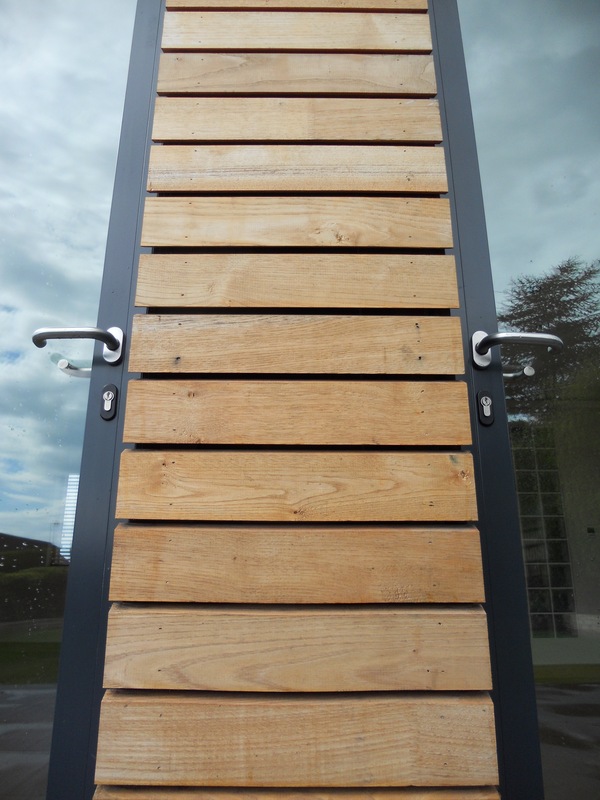 The entire building has been insulated externally and clad with lengths of finger-jointed coppiced sweet chestnut. The roof features 16 photovoltaic panels to generate electricity and two solar thermal panels to heat water. The guttering and downpipes are galvanised steel and the porch roof is zinc. The 18mm oak-laminated floors that grace most of the interior have been specifically sourced from France, rather than China, for obvious reasons. The kitchen is from Harvey Jones, a British firm, and the recycled glass Resilica kitchen worktops come specifically from Newhaven. The windows are Velfac and the doors are Sunflex. Like all good eco houses, this home comes with a gadget room which, in this instance, is the garage. This is where the meters, boiler, tank and controls for the underfloor heating are kept. It is also a hub for the Cat 5 and Cat 6 cables that ensure that the house is future-proofed for some time yet. Logically, the garage door itself is actually insulated. This year’s Eco Open Houses will be held on 25th-28th October. Perhaps Nigel will consider opening his own eco house this year to inspire others. I hope so.